Last week, the MalaysianWireless team took a train ride from the Gombak LRT station until the end of the line, Putra Heights LRT. We compared Maxis and Celcom download/upload speeds at all 37 LRT stations, along the Kelana Jaya Line. Out of the 37 stations tested, Celcom speedtest failed to complete in 3 stations: KJ3 Sri Rampai (poor coverage), KJ4 Setiawangsa and KJ17 Abdullah Hukum. Maxis only had one failed speedtest in KJ3 Sri Rampai LRT station due to poor mobile coverage. 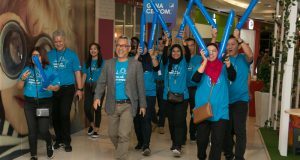 Over the past 5 years since Celcom launched the 4G LTE service, the Telco only had 3G coverage at the 5 underground stations where we tested on 1st November- KJ9 (Ampang Park), KJ10 (KLCC), KJ11 (Kampung Baru), K12 (Dang Wangi) and KJ13 (Masjid Jamek). Apparently, Celcom’s measurement of 89% (human population) 4G LTE coverage nationwide failed to include these underground LRT stations. The lack of Celcom 4G LTE coverage was also confirmed by some of our readers on Facebook. 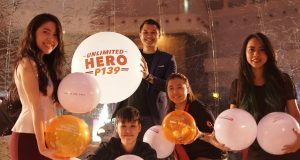 We referred this to Celcom on 1st November and a spokesperson responded to us on 5th November claiming that Celcom has 4G LTE coverage at those 5 underground LRT stations. Our sources indicated that Celcom only enabled 4G LTE coverage at those LRT stations on 5th November. During the test, our Celcom-smartphone remained locked to the 3G network while at KJ14 Pasar Seni, which was above ground (KJ13 station was underground). For comparison, our Maxis-smartphone was locked on to the 4G LTE network at every single LRT station except for KJ3 Sri Rampai. Both smartphones was set to auto-network mode. For DOWNLOAD speeds, Maxis was faster than Celcom at 26 station tested. The top 5 fastest Download speeds for Maxis was at- KJ1 Gombak (165Mbps), KJ2 Taman Melati (105Mbps), KJ22 Taman Paramount (105Mbps), KJ35 Alam Megah (105Mbps) and KJ6 Jelatek (98.6Mbps). For UPLOAD speeds, Maxis was also faster than Celcom, at 24 station tested. The top 5 fastest Upload speeds for Maxis was at- KJ1 Gombak (55.2Mbps), KJ24 Kelana Jaya (51.5Mbps), KJ35 Alam Megah (47.4Mbps), KJ19 Universiti (47.3Mbps) and KJ29 SS15 (44.7Mbps). 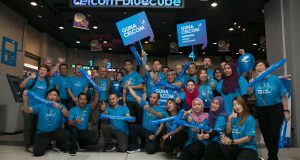 The top 5 fastest Upload speeds for Celcom was at- KJ23 Taman Bahagia (43.7Mbps), KJ24 Kelana Jaya (43.7Mbps), KJ22 Taman Paramount (42.5Mbps), KJ1 Gombak (37.2Mbps) and KJ34 USJ 21 (31.3Mbps). These speedtest are performed to measure real-life speeds. Only peak Internet speeds were recorded. All speedtest are performed while inside the train when we reach a station, in some cases, before the train stops completely. All speedtest are performed on 1st November 2018, starting from 1.40pm (Gombak LRT) to 2.20pm (KL Sentral LRT) and 3.25pm (Bangsar LRT) to 4.20pm (Putra Heights LRT). A Maxis Hotlink Sim and Celcom Xpax Sim were used, with subscription to high speed mobile Internet plans. Two Samsung Galaxy Note9 smartphones were used. These device are capable of LTE-A (5CA) Cat18 1.2Gbps Download /200Mbps Upload speeds. The unit were provided by Samsung Electronics Malaysia. Sync is turned off on both smartphone to limit apps from using Internet in the background. Both Galaxy Note9 are also updated to the latest software version, October 2018 security patch. Both speedtest, Maxis and Celcom are performed simultaneously against the TIME dotCom server in the Speedtest Android app (latest premium version). All speedtest were performed one time only, none were repeated. 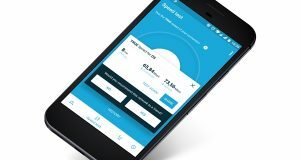 Download the Speedtest samples here: Celcom 4G LTE Speedtest Kelana Jaya Line Nov 2018 and Maxis 4G LTE Speedtest Kelana Jaya Line Nov 2018. All screenshots were taken at every LRT stations.